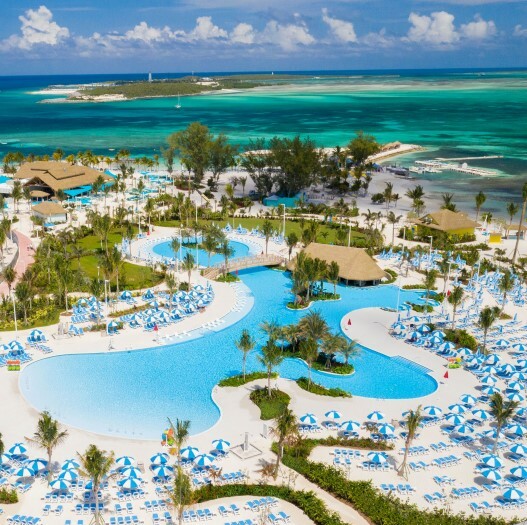 Located on a private island in the Bahamas, Perfect Day at CocoCay is Royal Caribbean International’s exclusive destination offering guests everything they could possibly want in a secluded port of call. In addition to its eclectic eateries and sun-drenched beachfront, the island boasts unrivaled aquatic entertainment to thrill and chill—from the tallest waterslide in North America to the Caribbean’s largest freshwater pool. “Thrill Waterpark” sits at the center of the island, featuring 13 waterslides split between two towers: a family tower with multi-person raft rides and an adventurer’s tower that includes the 135-foot-tall Daredevil’s Peak. This area is also home to Adventure Pool with its built-in obstacle course and rock wall, as well as the largest wave pool in the Caribbean. 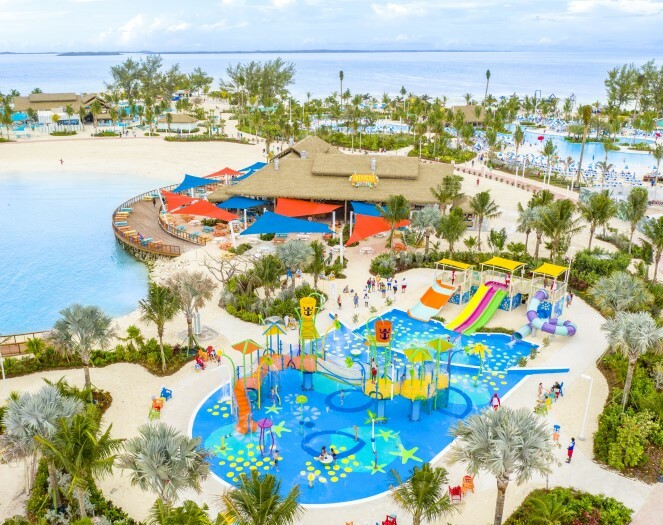 Nearby is Royal Caribbean’s largest Splashaway Bay that lets kids splash and play through fountains, pools, sprinklers, geysers, water cannons and whirlpools – plus five kid-size waterslides and two massive drench buckets. Lastly, at Oasis Lagoon, guests can chill out in the largest freshwater pool in the Caribbean while enjoying easy access to the swim up bar or wading in the shallow water of the pool’s kid-friendly zero-entry. For this project’s water park, interactive water features, and resort pool area, ADE provided concept design, hydraulic, structural, electrical, filtration, and chemical system design and engineering services.